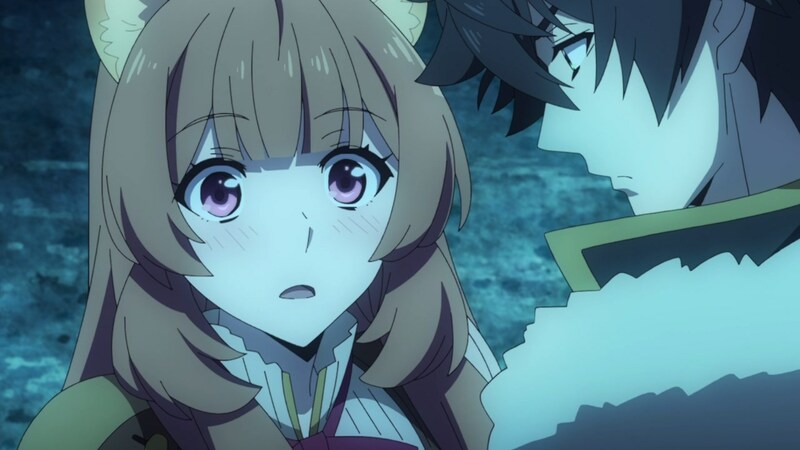 Well, looks like the Blacksmith is surprised that Naofumi Iwatani brought another slave. 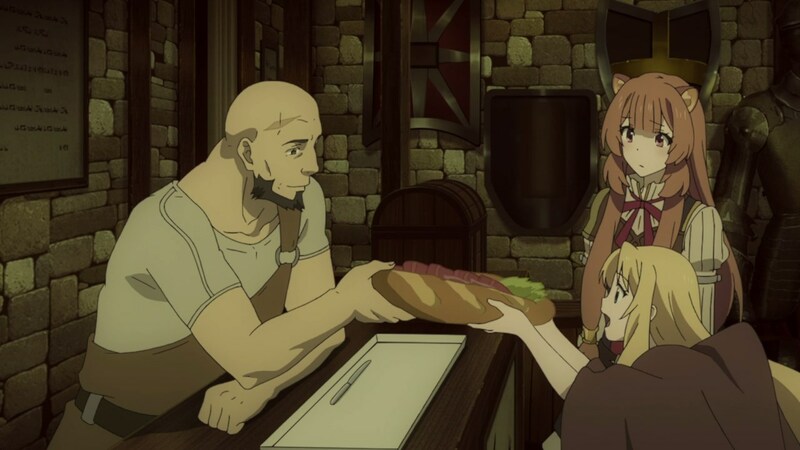 Well, the correct term will be familiar but anyways, the Blacksmith gave Filo a submarine sandwich to eat. 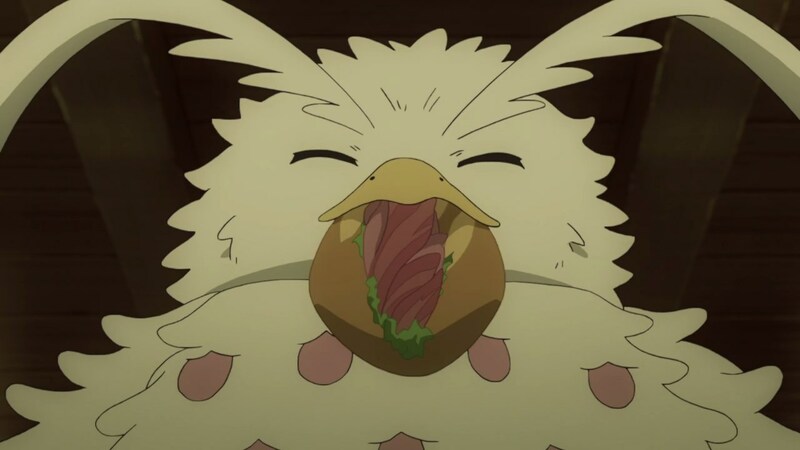 And once Filo takes it, she transforms into her giant filolial form to gobble the sandwich whole. Of course, the problem is that once Filo returns to her human form, she has no clothes to put on. And really, it’s expensive to make one as Filo will rip it to shreds once she transformed again. …to curing sick people by making medicines. 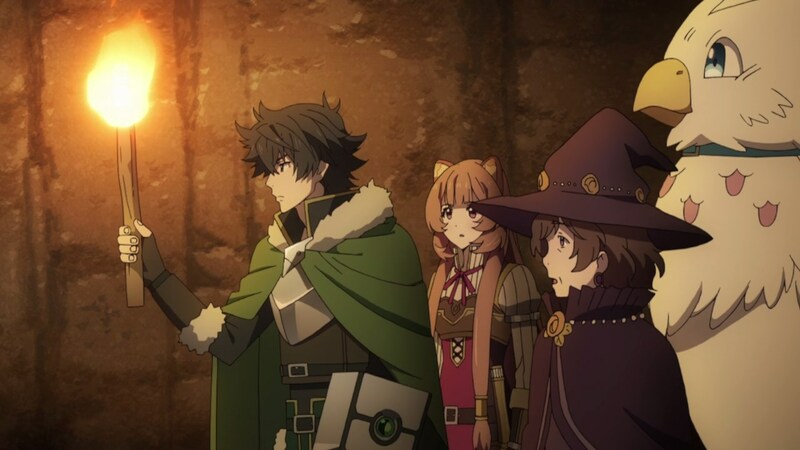 I mean, the Shield Hero learned how to turn raw herbs into effective potions to cure illnesses. 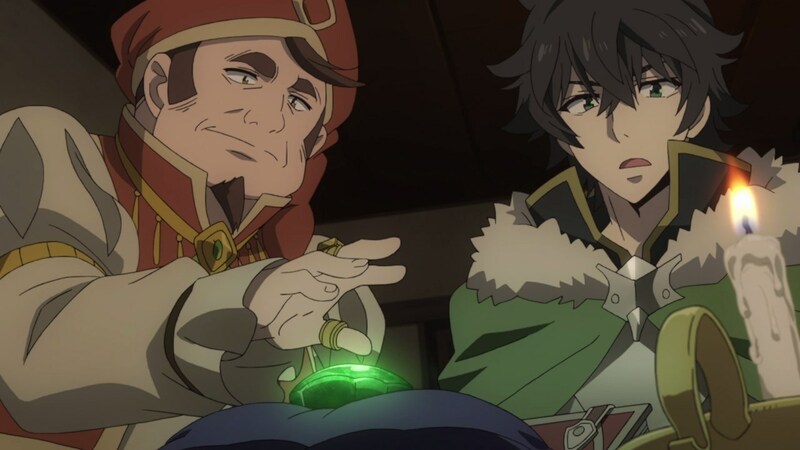 Eventually, his trading exploits have attracted various merchants like this guy who teached Naofumi on how to create gemstones. 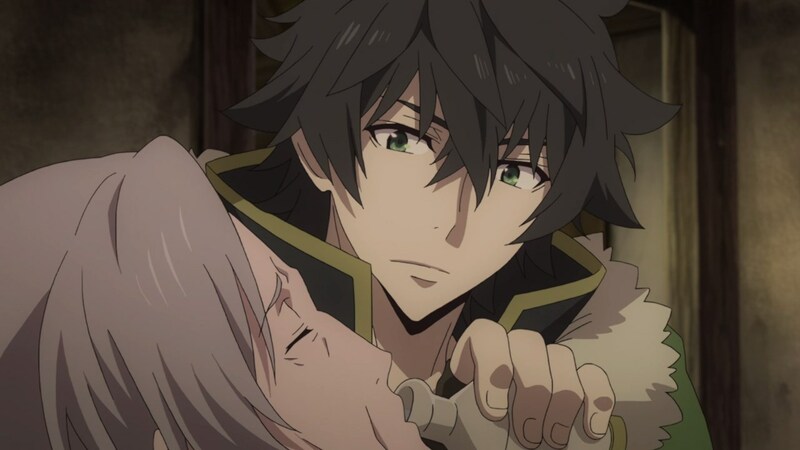 Sure that he’s not as prolific as other heroes due to slaying monsters and other bad people all the time, but Naofumi helped some people in a differnent way despite having a shield in his right hand. 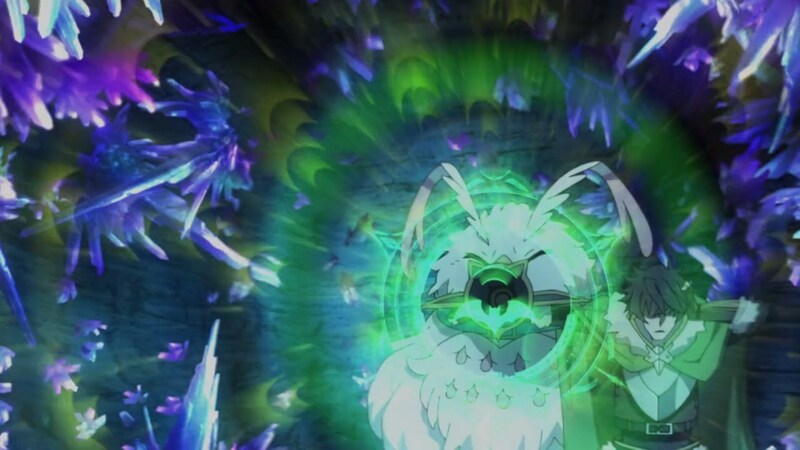 Oh yeah, and those gemstones are important to create magic threads later on as it’ll be used to make Filo’s clothes. 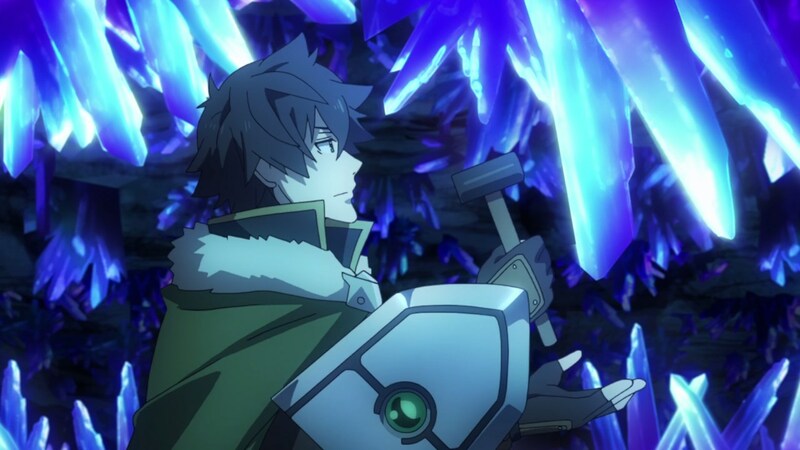 Now then, let’s move onto the next scene where Naofumi’s party are at the caves together with the lady sorcerer, as they’re here to get a gemstone in order to make a magic thread. 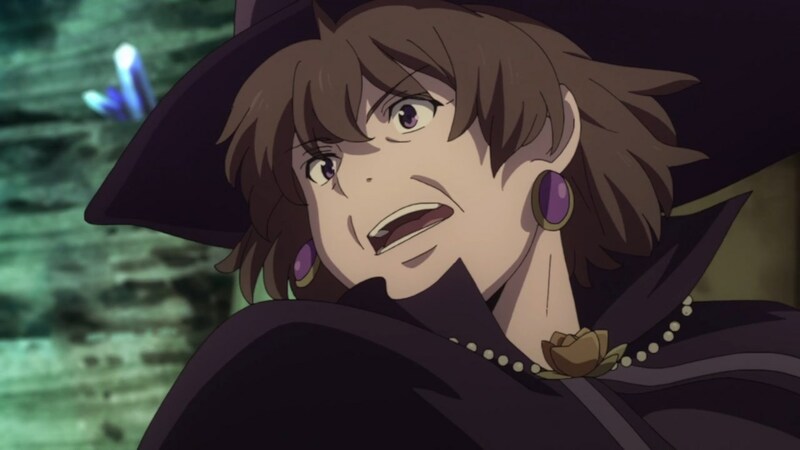 Oh yeah, that lady sorcerer is the one who gave various magic books for the Shield Hero to learn. Then again, Naofumi needs to master the language first. 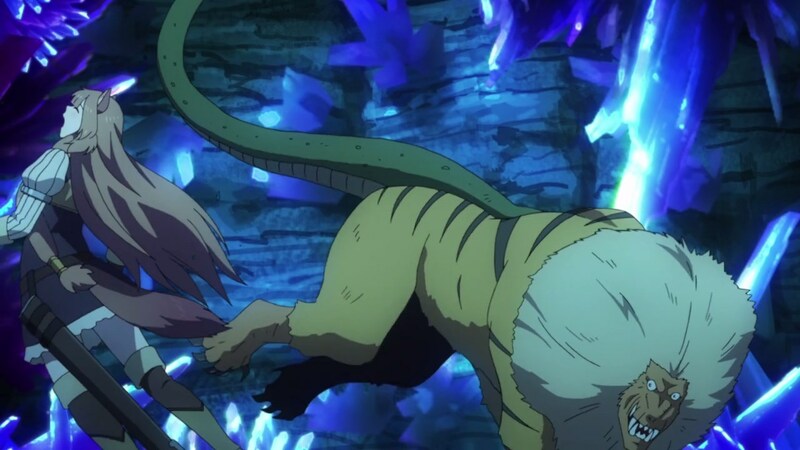 Anyways, it seems that getting gemstones will be difficult as it’s being defended by a nue. This chimera-like creature is bad news that you have to be careful when dealing with it. …only to get kicked by the nue. 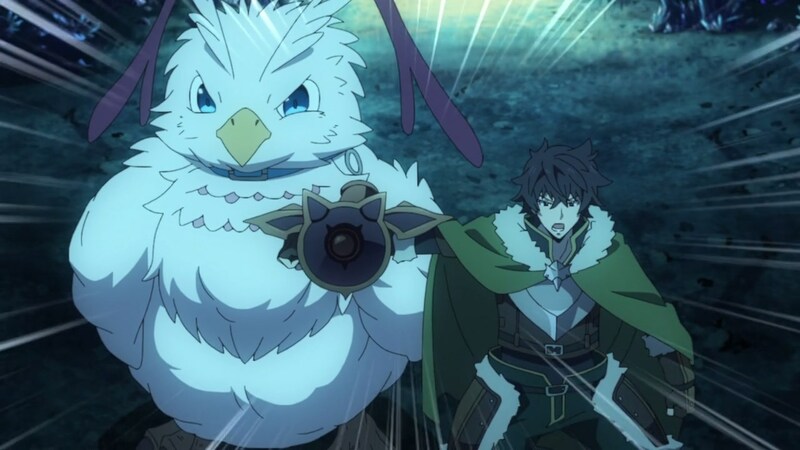 Well, looks like Naofumi needs to think of a way to kill this monster. On the other hand, here’s the lady sorcerer as she casts Zweit Fire Blast at the nue. While it’s effective, this monster is tough to beat unless someone sneak in and kill it. 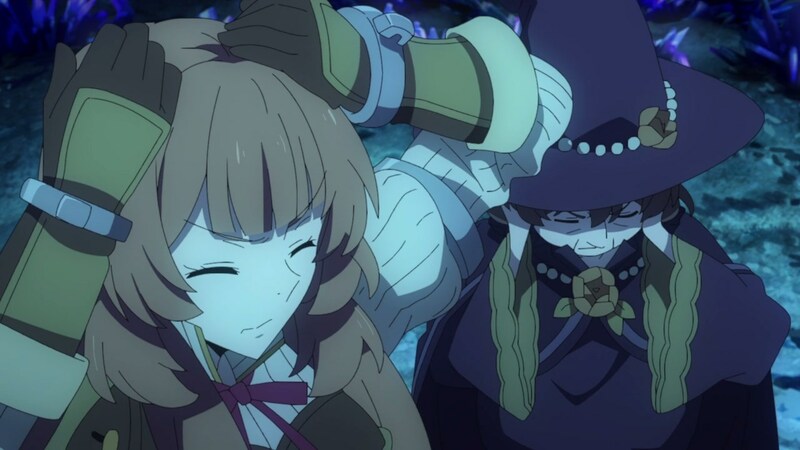 Well, Raphtalia did it as she tries to sneak in towards the nue and stab the monster, only for the nue to notice it and attack Raphtalia with its snake-like tail. 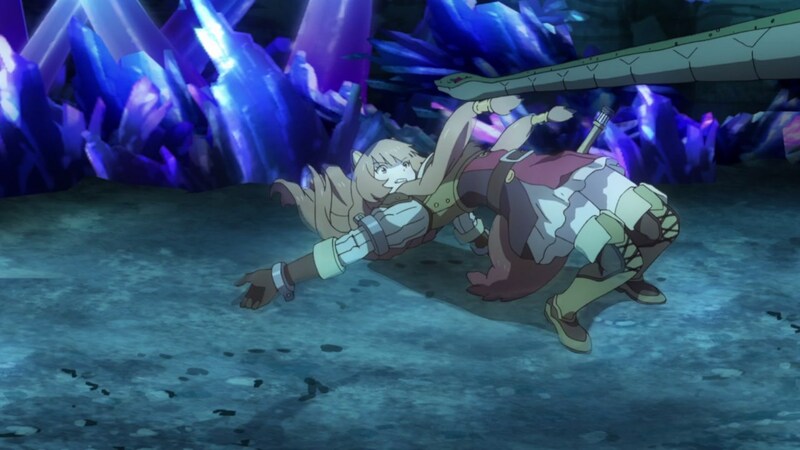 Turns out that the nue is sensistive to sound so using cloaking magic is useless unless Raphtalia walked silently. Then again, I think her cloaking magic needs improvement. 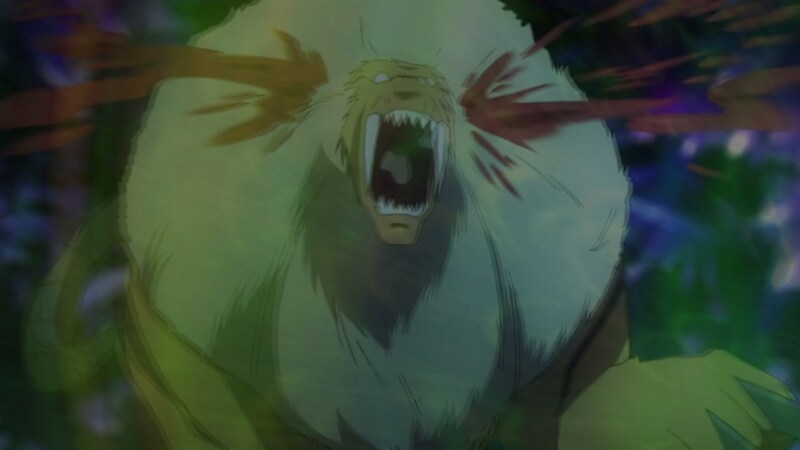 But that gives Naofumi an amazing idea of how to defeat the nue as he transformed his shield into a microphone so that Filo can scream loudly. Of course, they need to cover their ears first ’cause Filo’s scream might make everyone’s eardrums bleed. 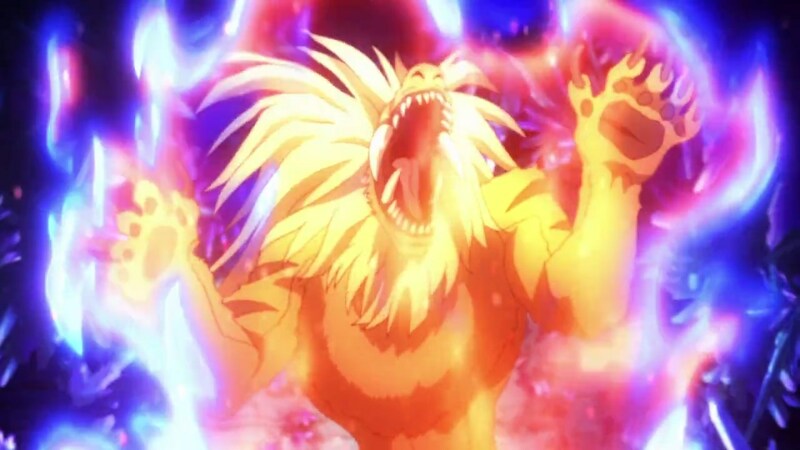 In any case, time for Filo to scream loudly to overload the nue’s eardrums! And believe me, you don’t want to get close to Filo if you value your hearing senses. But thanks to Filo’s screeching voice and Naofumi’s microphone shield, this nue won’t have sensitive hearing anymore as its eardrums burst. 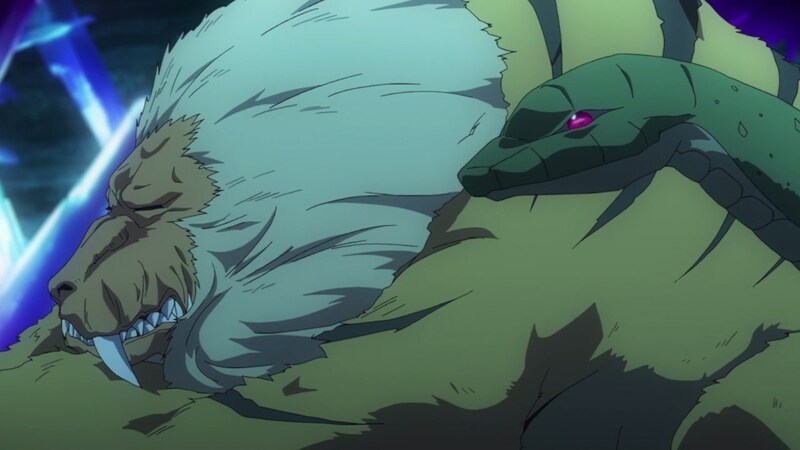 Now that the nue’s eardrums are destroyed, time for Raphtalia and Filo to deliver the coup de grâce to kill this monster. And with that, the nue is dead! 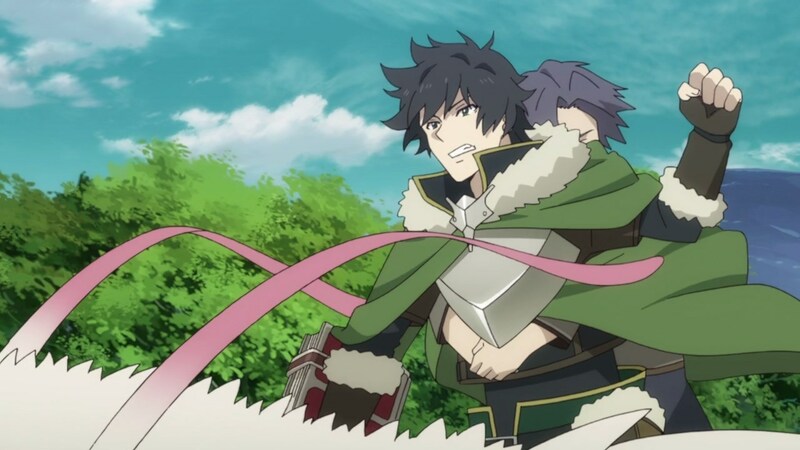 Of course, Naofumi will have to take care of his companions’ health as he doesn’t want a situation when both Raphtalia and Filo are about to die fighting a monster. Yeah, it’s better to treat their wounds now than later. Afterwards, it’s time for Naofumi to get a chunk of this gemstone and head home. And what’s he gonna do about this gemstome? 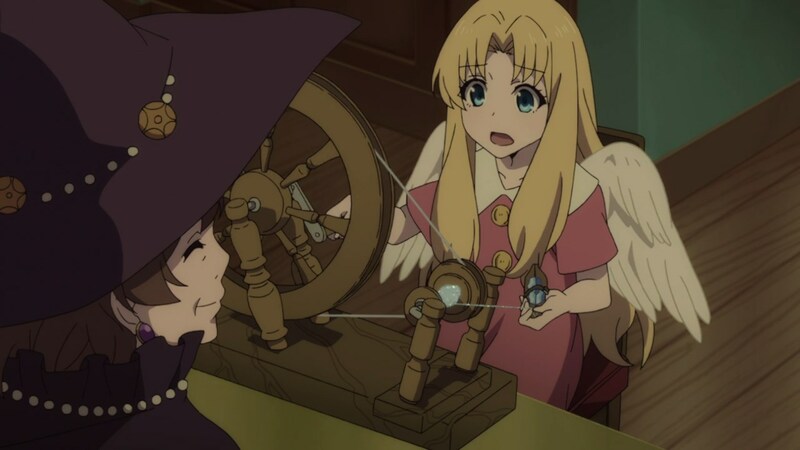 Simple, the gemstone will be used to create a magic thread, but Filo will have to do it by herself since that thread will be used to create her clothes. 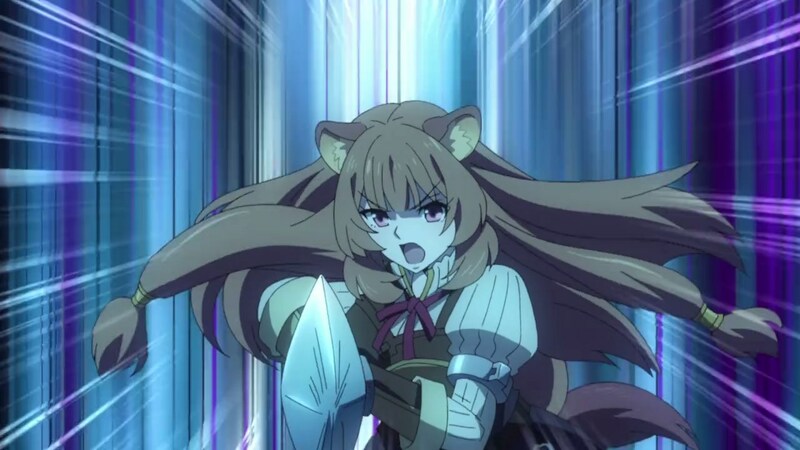 It’ll be useless if someone’s mana will be used to create a magic thread ’cause Filo might rip her clothes to shreds. So yeah, Filo will have to hang in there as the lady sorcerer encourage her to keep it going. 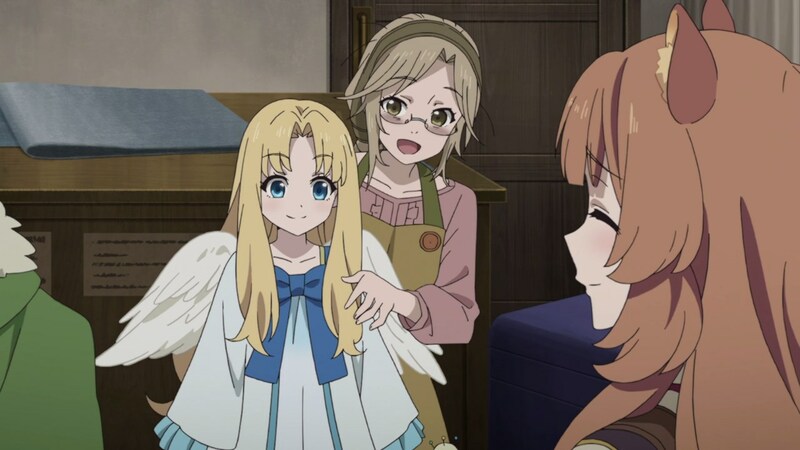 Eventually, Filo managed to create magic threads out of her mana and the gemstone, which the seamstress proceeds to make cute clothes out of it. For the dressmaker, she poured her heart and soul to create the cutest clothes for Filo. Yeah, she stayed up all night, but the results are worth it! Heck, Filo in her giant filolial form still looks cute with that blue ribbon on her neck. Oh and the best part? 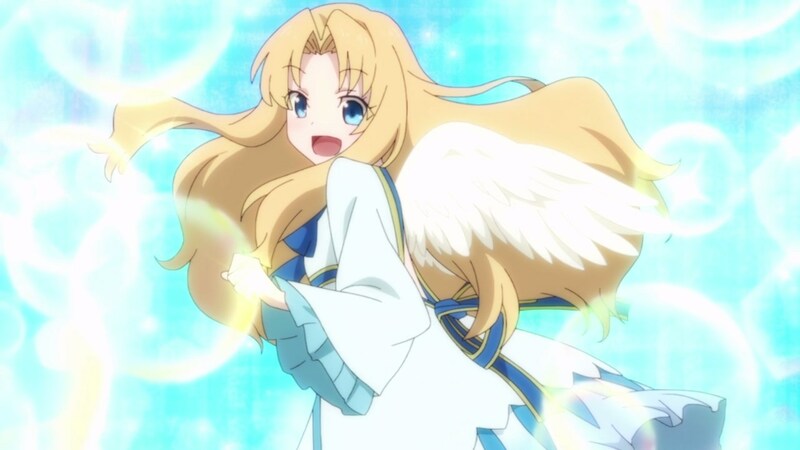 Her clothes are still intact once Filo transforms back into her human form. 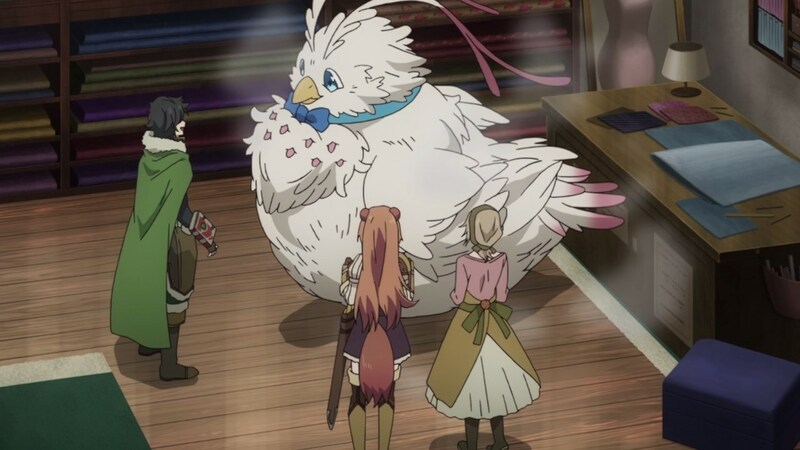 In any case, that was an interesting episode and I’m glad that Filo has some clothes to wear. Still, Naofumi Iwatani and the rest will have a long way to go as the Melromarc Kingdom still hates his guts, especially the King and Princess Malty. Anyways, I’ll see you next time!